The healthcare industry collects, retains, and transmits patient data as part of routine care delivery. This has led to a never before seen amount of attacks by cybercriminals. The value of stolen medical records is greater than that of credit card information on the black market. The move to electronic health records, the increase of networked medical devices and the need to share information via exchanges and on-demand are just some of the changes, and challenges, healthcare organizations are faced with. It is critical that healthcare organizations adapt quickly while taking appropriate actions to protect patient data. SCA understands the challenges you face. Cyber-attacks, ransomware, lost or stolen laptops, HIPAA compliance, Meaningful Use, MIPS-the list goes on but, what you want to do is treat your patients! Our full range of cybersecurity assessment and advisory services are designed to ensure you know the strengths and weaknesses of your organization. 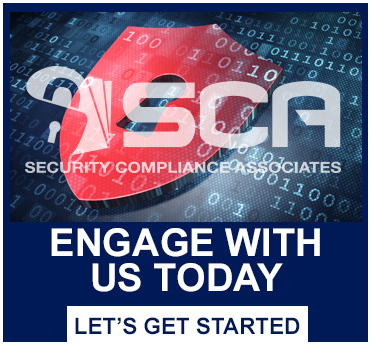 Whether your desire is to augment your HIPAA security program with ala-carte assessment and policy services, to identify, reduce and manage risks through a HIPAA Security Risk Analysis or HITRUST CSF Certification, or meet HIPAA regulatory requirements, we can help. While The U.S. Department of HHS now accepts HITRUST CSF Certification as evidence of performing a HIPAA Security Risk Analysis, HITRUST CSF Certification is a stringent process. If you have additional reporting requirements such as PCI, NIST or GDPR, HITRUST CSF Certification delivers even more value through its assess once, report many formats. SCA will help you determine which path makes the most sense for your organization’s requirements, size, and complexity.